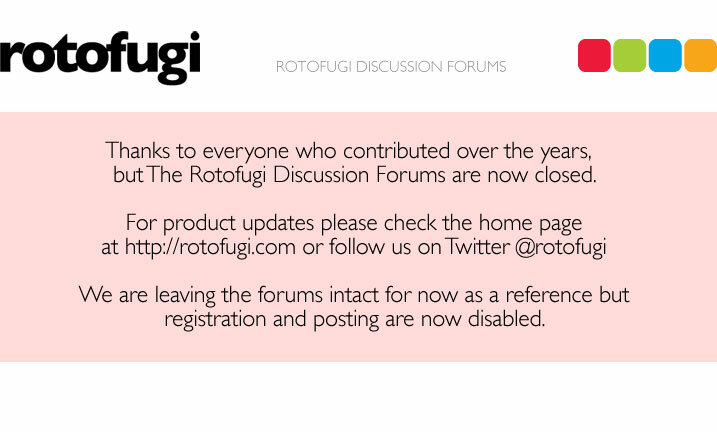 Rotofugi Forums • View topic - Really off-topic - what's your favorite cereal?!? < Everything Else ~ Really off-topic - what's your favorite cereal?!? Having kids certainly has its benefits - my three-year old asked for Berry Rice Krispies Cereal from the store this weekend - holy crap have you tried this stuff? Totally addicting - plus it turns your milk PINK. Can't wait to make rice krispie treats with them. What tooth-rotting cereal do you guys eat? i think i liked it because you could get away with eating cookies at 7 in the morning...i mean as long as it is small and crunchy, and able to fit in a bowl i think its a cereal...isn't it? Geoff - that sounds way to healthy - I'll bet your colon is in top shape!!! when i was in america years ago i loved apple jacks, mmm, yummy!! so id say those, even though i can get them here in the UK the oreo cereal looks lovely too. coco pops are another fav! don't make me decide! i go in spurts. right now, though, i think it is cinnamon toast crunch. but i also really like peanut butter captain crunch. right now, i think i only have apple jacks in the house. mmmmm. now i'm craving cereal! Fruit Loops are a guilty pleasure that I can only indulge once in a while, but I did have a good semi healthy blueberry cereal recently that was pretty good too. you tease with the apple jacks! Honey Nut Cheerios with real honey drizzled on them. Yum! oh and i also like homemade ricecrispy treat cereal too. to make just let a couple treats dry out a little bit, chop and pour some milk over. double yum! Dang, that sounds good...we've been eating your granola and fruit type cereals (usually from Trader Joe's) a lot lately. not to rub it in even more maz, we have apple jacks here, too. they're definitely one of my favorite sugar-based cereals. but right now i'm addicted to this! joe, if you haven't tried them yet, go buy a box now! they are ridiculously good. damn drizzle, your talk of homemade rice krispies treats cereal sounds delicious. i love me some krispies treats! i SWEAR they used to have a rice krispies TREATS cereal. i remember they came in tiny little bunches. omg, so good. 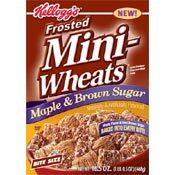 i also used to enjoy this one cereal that my grandparents always had. it's like the mini wheats, only it had fruit filling in the middle! mmmm. discontinued, i think. Apple Jacks are a given - whenever I'm not in the try-something-new mood, they are the tried and tested favorite! Have you guys tried berry or chocolate Lucky Charms - holy sugar rush - can't keep 'em in the house - they are apparently pretty huge on college campuses across the US - after they pull a 4:20, these college hipsters are jonesing for the Leprechaun.